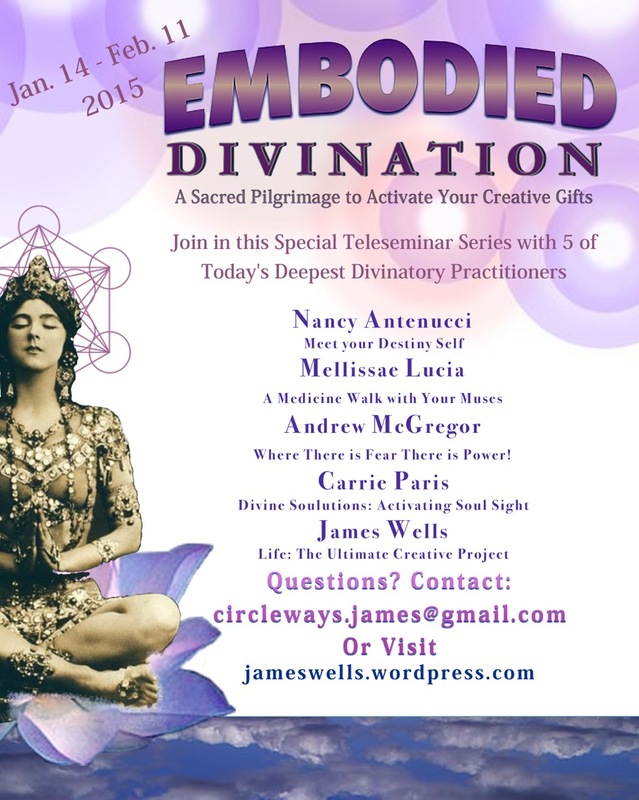 Please join us for Embodied Divination! Please join my friends and me for this deep, enjoyable journey to a more radiant, authentic personhood! This sounds pretty wonderful, and i am very interested. (And think some friends/family may be as well) Is there a way to get more information on it? Thank you so very much! If you email me at circleways.james@gmail.com, I can send you the full set of details for you and your friends and family members. It will an honour to work with you again.